In February, Raymarine partnered with FLIR to bring to market its most advanced marine radar system. 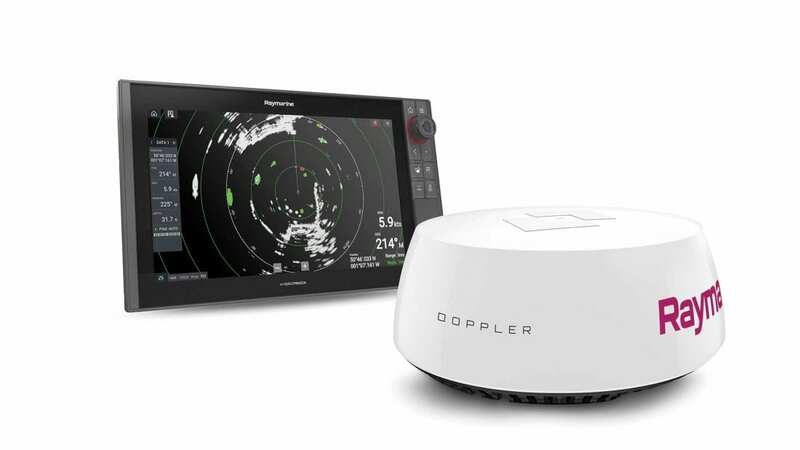 Quantum 2, with Doppler target identification, is designed for integration with Raymarine’s award-winning Axiom multifunction displays to enhance boaters’ situational awareness by intelligently identifying moving and static targets at both long and short ranges. Quantum 2 is tuned to detect moving versus stationary targets. It color codes moving targets to indicate whether they are getting closer (red) or moving away (green). In addition, Quantum 2 brings a new Safety Sector feature that highlights and color codes potentially dangerous static targets within 200 meters in front of the vessel. Advanced users will appreciate Quantum 2’s 25-target mini-automatic radar plotting aid (MARPA). Developed for the United States Coast Guard, Quantum 2’s MARPA feature is doppler-assisted, meaning inbound contacts can be acquired automatically by the radar display to ease navigation in congested waters. Quantum 2 also features CHIRP Pulse Compression technology, which uses compressed radar pulses to display targets like boats, landmarks, rocks and weather cells with unsurpassed resolution and separation. Quantum 2’s flexible design allows for Wi-Fi networking to Raymarine multifunction displays (MFDs) or via traditional wired configuration, making installation much easier and eliminating the need for additional radar cabling or interface boxes.